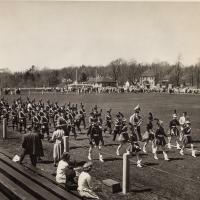 Maynard High School Band parading at an Annual May Day parade on Alumni Field organized by Phil Bohunicky. 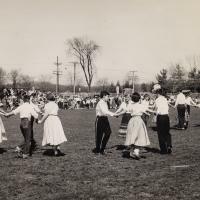 Children dancing at an Annual May Day parade on Alumni Field organized by Phil Bohunicky. 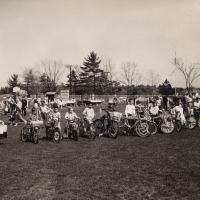 A group of children with their bicycles at an Annual May Day parade on Alumni Field organized by Phil Bohunicky. 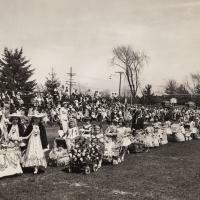 A parade of young girls pushing doll trams/carriages is part of an Annual May Day parade on Alumni Field organized by Phil Bohunicky. 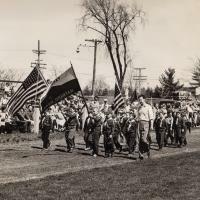 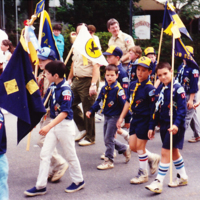 Cub Scouts parade at an Annual May Day parade on Alumni Field organized by Phil Bohunicky. 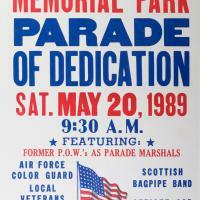 Red, White and Blue poster advertising the dedication of Memorial Park. 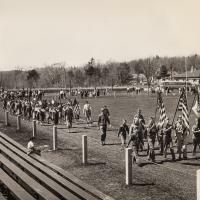 A collection of 16 photos largely of the parade. 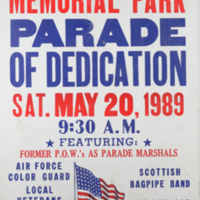 A poster for the parade and dedication of Veterans' Memorial Park. 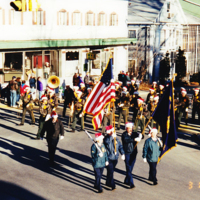 A collection of pictures showing the parade. 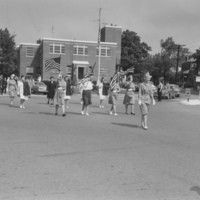 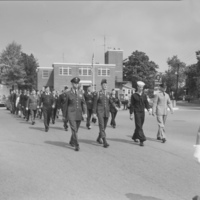 A collection of photos showing the parade. 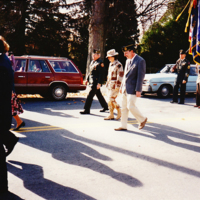 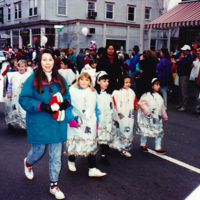 A collection of photos of the Christmas parades in Maynard during the 1980's and 90's. 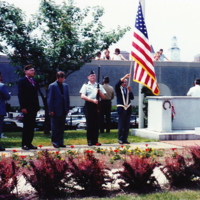 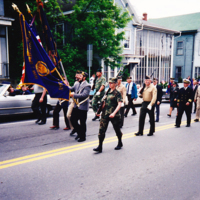 A collection of photos of the Memorial Day activities. 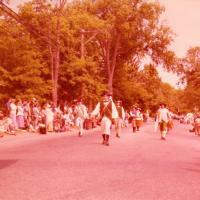 A collection of parade photos from the early 1980's. 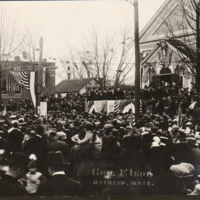 Speeches given in front of the Congregational Church on Main Street. 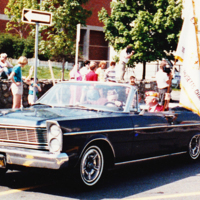 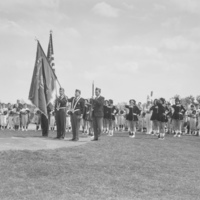 A presentation of flags by American Legion at a baseball game or part of the Little League parade.